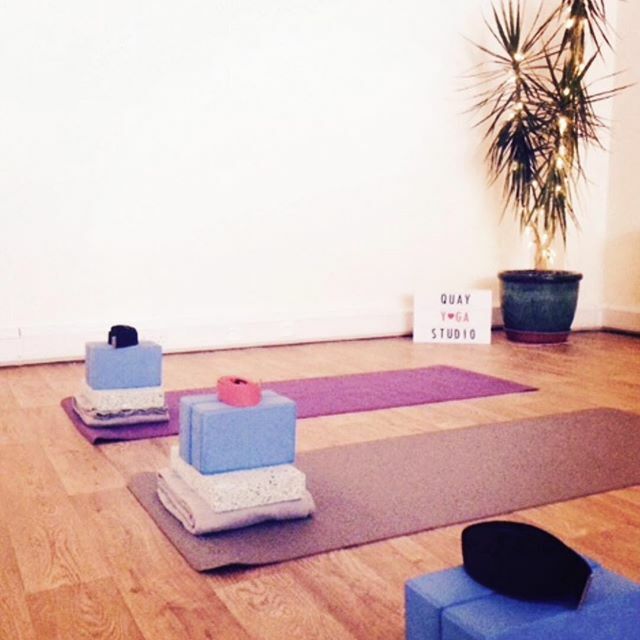 Coming to yoga can feel daunting so here is all you need to know about our classes. Our classes vary in style but all our classes are suitable for all levels. We offer several beginners classes each week- check out our timetable to find out when. Our regular temperature classes encourage you to build your internal heat, through breath and movement before taking you into varying sequences. Any type of clothing you can move freely in is suitable for our regular temperature classes. Water may be required dependent on class. You get to snuggle in blankets at the end of class. Our heated classes are heated using Far Infra-red heaters. Far Infra-red heat is a dry heat that gets absorbed directly by your muscles, in turn increasing your internal temperature, boosting metabolism and warming you and your muscles up quicker so you can stretch and work deeper quicker. We recommend tighter clothing that you can move freely in for our heated classes because you will sweat. A towel may be required too. Never done yoga before, this bit is for you. Not sure if yoga is for you? Yoga is suitable for everybody and we've heard all the excuses. You can't be too old, young, flexible, stiff or unfit. Okay?When you're ready to stretch yourself we can help. All our classes are suitable for all levels. Just you. The studio provides mats, all the props you may need and water too, you're welcome to bring your own though, if preferred. What happens before, during and after class? Please arrive 5-10 minutes before your first class so we can show you around and ask you to fill in a form for us. You can then grab a mat and find yourself a space or chill in our waiting area, maybe even make your mark on our colouring wall. We'll ask you to take your shoes off for class, we recommend socks come off too but it's your choice. During class you'll be guided through poses safely by your experienced and friendly teacher. Classes will never be crowded, the maximum we'll allow is 15 people in each class so you'll always have room to move. Your teacher should be easily identified in a Studio branded tee- if you've got any injuries please let them know. After class we'd love it if you could wipe down your mat with our all natural sprays (you can use them on your own mat too) roll it up and pop it away. Then you're welcome to leave or stay, chat and chill in our waiting area. I'M PREGNANT, CAN I COME TO CLASSES? The studio doesn't currently offer specific pregnancy classes. If you have/had a consistent practice before getting pregnant you're welcome in classes throughout your pregnancy- please let us know as soon as possible so we can keep you and baby safe. If you're new to yoga or have dabbled in the past we recommend coming along from 12 weeks, as the body has a lot of change going on and we don't want to overload you. From 12 weeks you're welcome in the following classes: Hot Flow, Hot Absolute, Quick Fix, Vinyasa and Twilight Relaxation. If we've not answered your questions please don't hesitate to get in touch with us: Team@quayyogastudio.co.uk.